The Gasurveyor range of instruments are the gas industry standard for measuring % LEL, % Volume and PPM flammable hydrocarbons, with over 20,000 instruments in use in the UK gas industry. PS200 Series (4-Gas) and PS500 (5-Gas) range of portable monitors are lightweight, robust, simple to operate and suitable for use in a variety of confined space and industrial applications. These monitors can detect a range of gases including oxygen, combustibles, hydrogen sulphide and/or carbon monoxide. GMI has the capability to design and develop customised fixed gas detection systems to comply with individual customer requirements. We offer a comprehensive range of certified products to suit all gas detection marine applications. Book your annual PS200 service now! 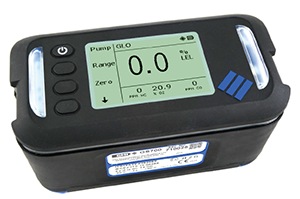 Our Milton Keynes Service Centre is now fully equipped to carry out service, calibration, maintenance and repair of the PS200 Series portable gas detector. We believe that developing and supporting our international distribution network will play a key part in our global growth strategy. Equipment installed overseas is fully supported around the globe by a network of industry specialist distributors, giving total assurance that your gas monitor is receiving the most comprehensive maintenance program available. Please click below to contact your Territory Manager, who will provide you with the details of your local distributor. Utilising the latest infrared gas detection technology in a robust and reliable design, the Gasurveyor 700 (GS700) is a highly configurable instrument with leading performance and a user-friendly interface which makes it the perfect choice for all gas utility applications. Fire detection is based on fire’s various properties (rise in temperature, smoke emission, and optical radiation emission). Our Milton Keynes Service Centre is now fully equipped to carry our service, calibration, maintenance and repair of the PS200 Series portable gas detector. This event, to be held from 2nd-5th May in Paris, represents a tremendous opportunity to network and strengthen relationships with gas industry customers world-wide.